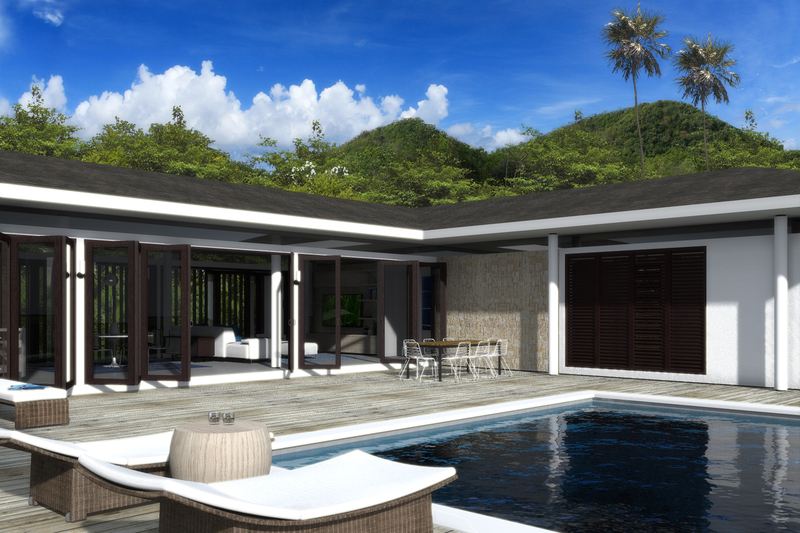 A luxury, eco-resort with a Lagoon, overwater bungalows and private villas overlooking the pristine, white sand beaches of Antigua. 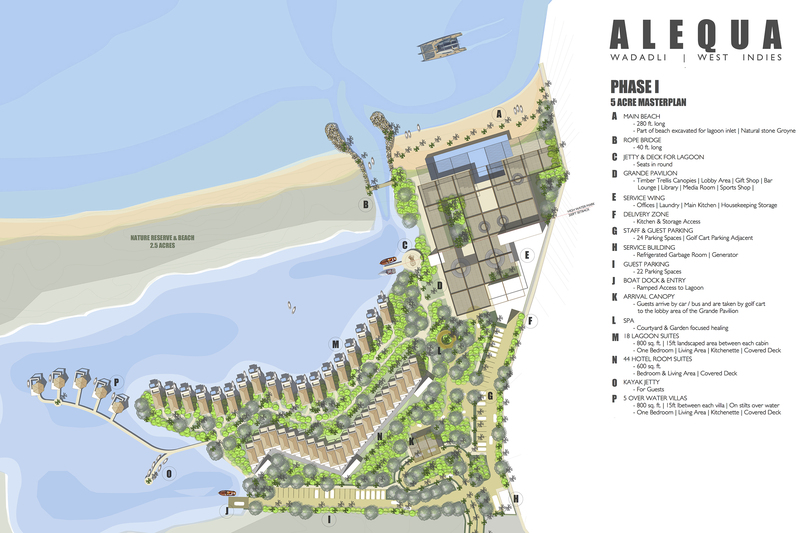 The layout of the Masterplan capitalizes on the opportunities presented by the site, a natural lagoon, gently sloping land, and over 1500 ft of undeveloped beachfront. 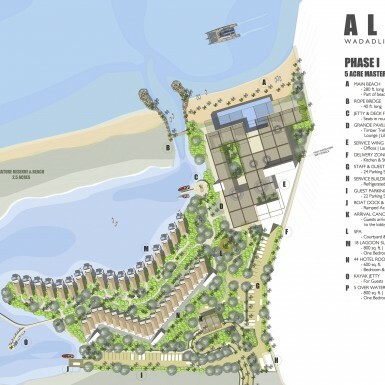 The area for development was restricted to protect much of the natural habitat, making the allowable beachfront land too small for a critical mass of rooms. 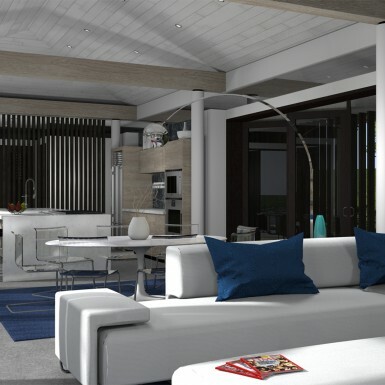 The decision was made to design the premium rooms around the natural lagoon, giving the beachfront to the public facilities. 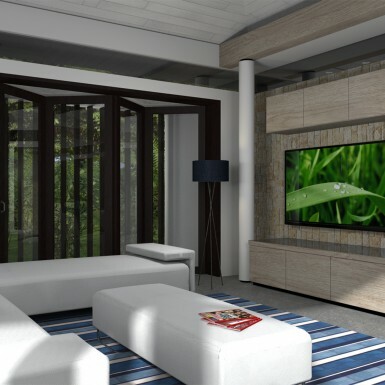 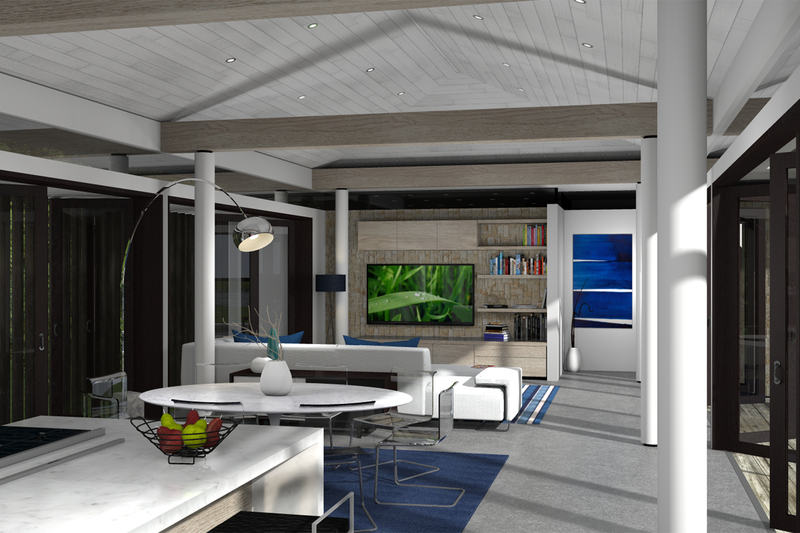 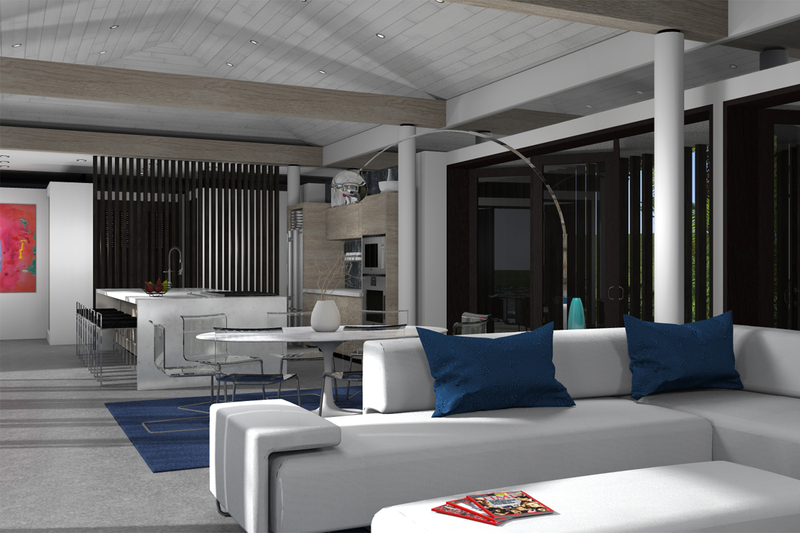 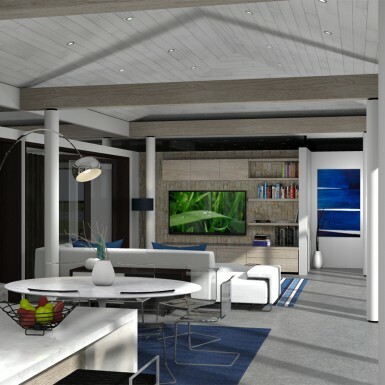 The over-water bungalows will be the first of their kind in Antigua, and with the Lagoon suites they offer sheltered access to the water for low impact sporting activities. 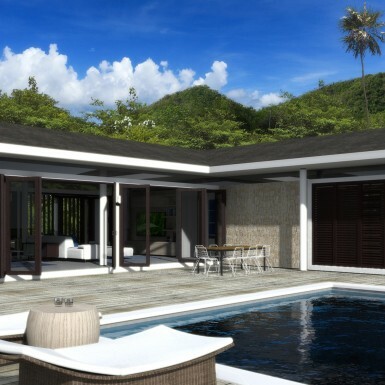 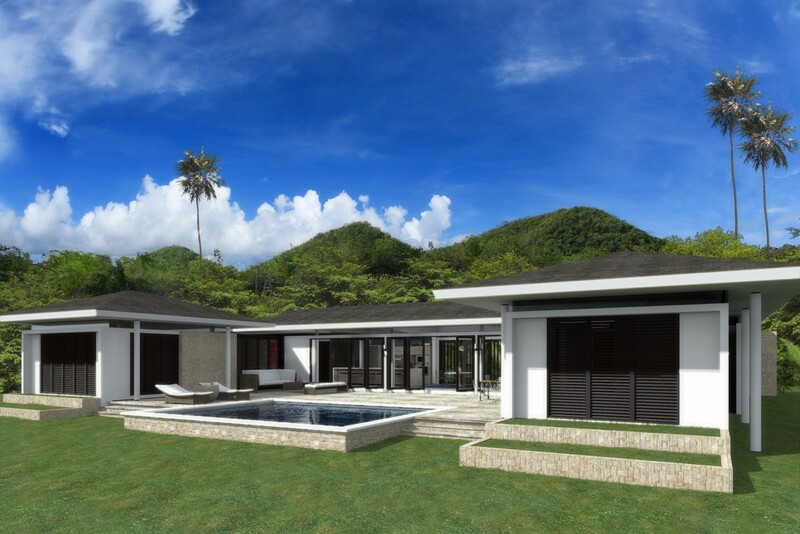 An enclave of private 3 and 4 bedroom villas will be developed towards the south, perched on a gentle hillside and overlooking the hotel property. 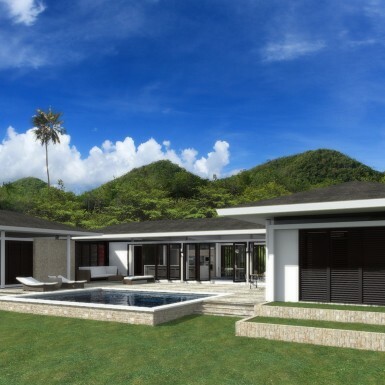 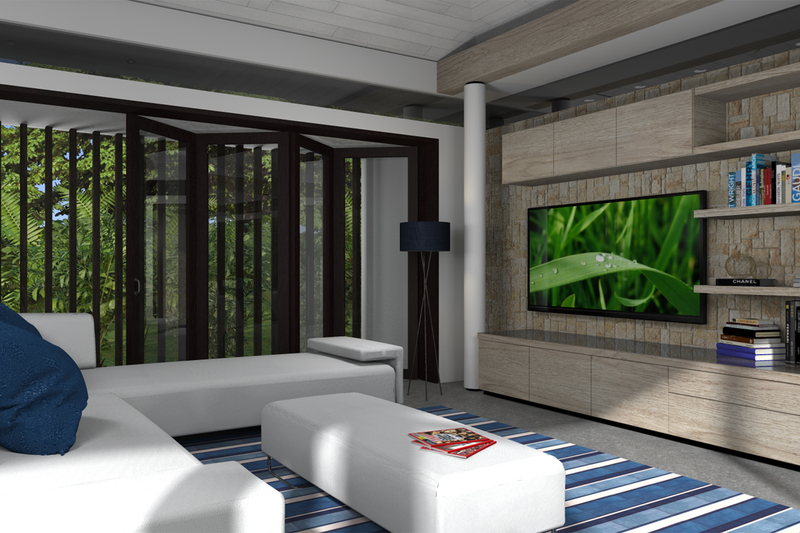 The villas take cues from the indigenous architectural language of the Caribbean, but with reinterpretations of structure, materiality and permeability.